Braveheart. That’s it. Seriously? Could we actually use a name that had been popularized by a movie for the company? We searched for the URL. It was available. So the creative juices started flowing. Visions of what the Scots’ historical fight represented and what the movie characters were fighting for resonated. They were fighting for freedom. Isn’t that what we all are fighting for every day? Think about the freedoms available to companies that can execute well on their sales plans. Think about the freedoms afforded a salesperson who consistently produces and is compensated for doing so. Think about the freedom that CEOs realize when their sales teams are well-oiled machines and continue to grow their company’s market share and influence. In my mind, the name fit. We searched the dictionary for a definition, and none existed. We were free to create our own definition. 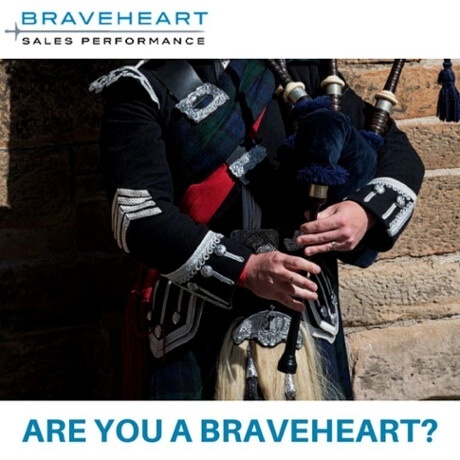 This is why the company is named Braveheart Sales Performance and that is exactly what we believe the best salespeople are . . . Bravehearts. We want to help all salespeople execute as Braveheart warriors. We want to help them develop the courage to execute at a higher level for the good of themselves, their companies, and their clients. And, we want all salespeople, sales leaders, and CEOs to enjoy the freedoms that accompany the Braveheart spirit. 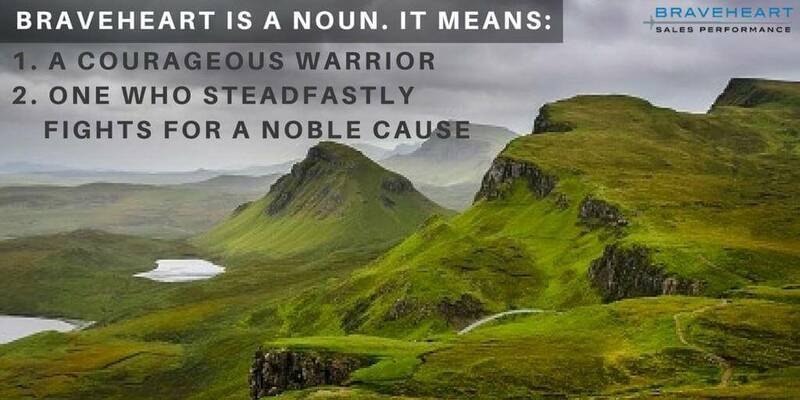 If you have a Braveheart story of your own, please share it in the comments! Have you read 25 of the Best All-Time Sales Quotes?